Writers Horoscope for November 18: Your latest project? Bigger than you’d planned. So you’ve shrugged off criticism. And writer’s guilt? Gone for now! 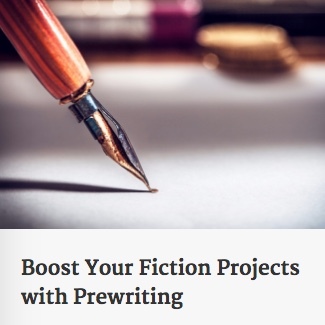 On the fiction side, try some prewriting strategies. Writers Horoscope for November 16: You couldn’t help yourself. Writing projects…coming at you from all sides. Most of them half-completed. [if you’re lucky]. Let’s hope you’re taking yesterday’s dealing with guilt advice to heart. Sort out the three or four ‘loudest’, most insistent projects. And get back to scheduling. Give each of them at least 15 minutes. You will see real progress and, even more important, you can sleep soundly knowing these projects are no longer collecting psychic dust. Writers Horoscope for November 15: Failure’s evil sidekick shows up today. Writers Horoscope for November 14: You will encounter something scarier than failure. The TV show can wait. Writers Horoscope for November 13: Today, learn from others’ experience. Writers Horoscope for November 12: It’s not your day. Life’s treating you like a captive in an outhouse. But wait! Those ill-fated moments can launch you into some quality writing. You shrug your shoulders, admit you have nothing to lose, reach for your pen and durable paper [no bathroom tissue, please], and have at it. And…even if, in your heedless state, a little doubt is tucked in your back pocket, here is a vital kick in the seat of the pants. Writers Horoscope for November 11: A difficult decision awaits. One of your favorite characters has to meet his demise. You’ve written yourself [your character, actually] into a corner. Buck up, put on your ‘audacious author’ pants, and lead him off the pier. Need a little help with this challenging next step? Writers Horoscope for November 10: You’re overthinking things. There is prewriting. That’s good. And then there’s prewriting hysteria. Not so good. Create a basic framework as a starting point and let inspiration and imagination fill in the blanks. However, if you’ve signed onto a previously promoted two-month ‘finish this!’ program, well, just ignore the first draft suggestion above. Hey, it’s the writing life! No one said it would make sense. Writers Horoscope for November 9: You’ve put a face to a name. Sometimes it helps to see your opposition. Could one of these faces match up with that nagging voice of resistance? Go ahead. Select one that fits, give him or her a name, print it out, and put it on a dart board. You are better than these self-righteous, judgmental naysayers.